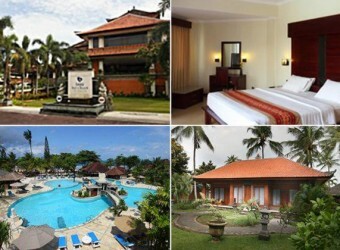 Bali Hotel Four-star hotel, Inner Kuta Beach located in beachfront of Kuta Beach. In the guest room, there are two types of room, building and bungalow, and both size and equipment are almost same. There is a 50cm depth kids pool and baby-sitter service.